With so many incredible parks and scenic trails to explore all over this beautiful state – whether you’re hiking, biking or simply looking for a great picnicking spot – it’s difficult to know where to get started. To help point you in the right direction, we have put together a handy list of our favorite places to check out here, there and everywhere. Where they go: Just south of Phoenix, South Mountain Park/Preserve boasts more than 16,000 acres of gorgeous terrain. Why they love it: It’s one of the most overlooked places, but it’s right in the heart of it all. It has terrific views, something for everyone of any skill level and great history on Arizona. Where they go: Watson Lake is a lovely escape just four miles outside of Prescott, ideal for boaters, kayakers and (summertime) campers. Why they love it: Since we are “up the hill” from Phoenix, we can enjoy the spring a little bit longer, stay local and go for a nice walk or fish at Watson Lake. The rock formations are amazing and really take you back to nature, where you can truly unplug and detach from everyday stresses. Where they go: Near Scottsdale, the popular Tom’s Thumb Trailhead is known not only for its fabulous views, but also for allowing leashed dogs to join in the trek. Why they love it: Right off the 101, this is a great way to spend the afternoon! On a clear day you can see forever. A few switchbacks make it a little challenging, but the trail is very nice – wear good shoes. It is about four miles round-trip. It’s one of the best hikes that is fast and easy in the Phoenix metro area. 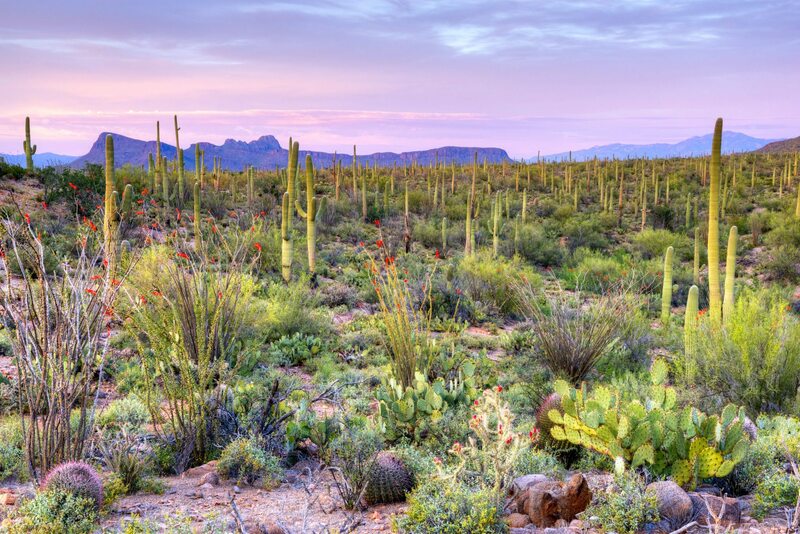 Where they go: Saguaro National Park East and West lie on either side of the city of Tucson and shelter the indisputable mascot of the Southwest – the iconic saguaro cactus. Where else they go: Located in the northwestern face of the Santa Rita Mountains, Madera Canyon is part of the sprawling Coronado National Forest. Why they love it: It’s perfect for hiking and bird watching, with beautiful scenery. And it’s only 25 miles southeast of Tucson! Where they go: Payson is affectionately – and accurately – called “The Heart of Arizona” since it is geographically the center of the state. Where they go: Gates Pass Scenic Overlook in Tucson Mountain Park, which offers approximately 62 miles of trails open to pedestrians, cyclists and horseback riders. Why they love it: Gates Pass is a beautiful mountain ride, especially on a motorcycle: wonderful desert vistas, thousands of saguaro cacti and jagged rocks. On the west side of the pass you’ll find the Arizona-Sonora Desert Museum and the famous Old Tucson Studios, where numerous westerns were filmed. Beautiful! Where else they go: Sabino Canyon Trail in Tucson features a 7.4-mile round trip hike through the picturesque foothills of the Santa Catalina Mountains. Why they love it: The water is typically flowing in the spring months and there are tons of additional hiking trails to explore. Where they go: Red Rock State Park, located just southwest of Sedona, sponsors guided geology and archaeology hikes through the loops of interconnecting trails and along beautiful Oak Creek. Why they love it: You’ll find amazing trails, glorious views and educational tutorials offered throughout. Best known for its serenity and spiritual glow. Where they go: Comprised of two mesas and the canyon of the Agua Fria River, Agua Fria National Monument is rich with American Southwest history, home to pueblo ruins, petroglyphs and other ancient artifacts. Why they love it: I like to do quick escapes there. It’s only about a half hour outside of Phoenix, but is an entirely different world. There are scenic trails to explore that are easy enough to manage, even with children. My favorite is Badger Springs Wash trail, which leads to the Agua Fria River. Dipping your feet in the cool water is a nice treat after hiking. This is a great place to bring your dogs to cool off as well! Now that you have the local scoop straight from our Coldwell Banker Residential Brokerage staff members (and nature enthusiasts), it’s time to head out on your next Arizona adventure!